This fonts table has a list of most popular typefaces grouped by their family /class. 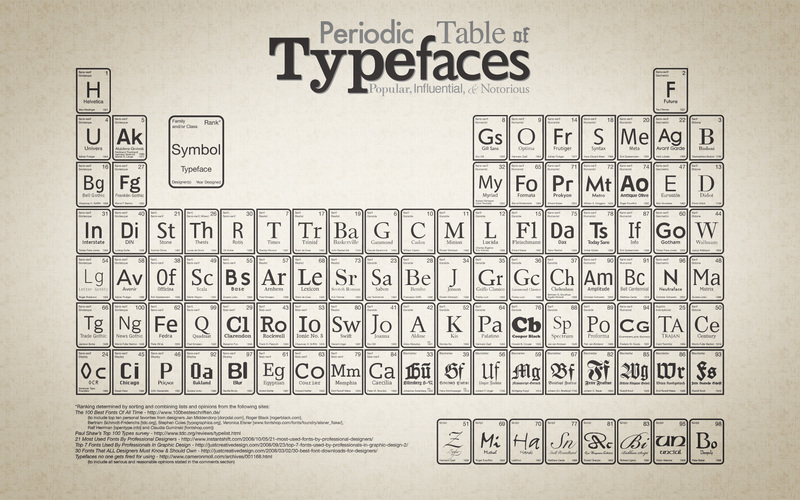 Each cell in the periodic table lists the typeface and a one or two character “symbol”, the designer of the font, the year when that font was released and its ranking (font popularity). Get it as a print poster here.